Welcome to my much more than top 100 games of all time list. Why is it not 100 because I found a way for my list to not be all Zelda, MGS or Mario games. I also hate the idea of only putting one or two per franchise, this is about individual games and some franchises are so good all their games are in the top. But that makes for a boring list so I wanted more games in. The compromise I came up with is to bunch similar quality games together as one entry (example Galaxy 1 and 2). There could be two, three, maybe six games in one number. The idea being they are very close in quality so no reason to break them into separate ranks. I will order them from least favorite to favorite within that rank. This is also a favorites list meaning if one game is ahead of another it does not necessarily mean I think its a better game, I just might have a deeper history with that game. Now toward the top of the list my favorites and what I believe to be the best games ever made are one and the same. It was not easy to pick the games I did, I constantly removed some games, put others in, rearranged the ranks many times. Ive always known my top 25 or so but the rest has been fun to explore and figure out which games have been my favorites over all these years. Its actually kind of late so I will start officially tomorrow. But before I go I'll leave you with a few games that just missed the list. So funky and fresh but didn't make it. The splatoon games, one of the best online competitive "shooters" I've played. Slightly out of the splat zone. FTL, such an addicting simple yet extremely deep game. A classic but just missses the mark. The Longest Journey, Incredible story and the best traditional point and click adventure game I have ever played. Excellent game but lets be real, adventure games aren't my thing. I always say that the best work comes when you're working within a strict set of limitations. Apparently this view isn't held in high regard by certain people. Looking forward to Vader's top 147 out of 100 games. You are so close. It's 152 last time I counted though I might have changed a few since then. I look forward to 10 Sonic games as number 1. We begin with two Resident Evil games that came out at times when the series was trying new things. 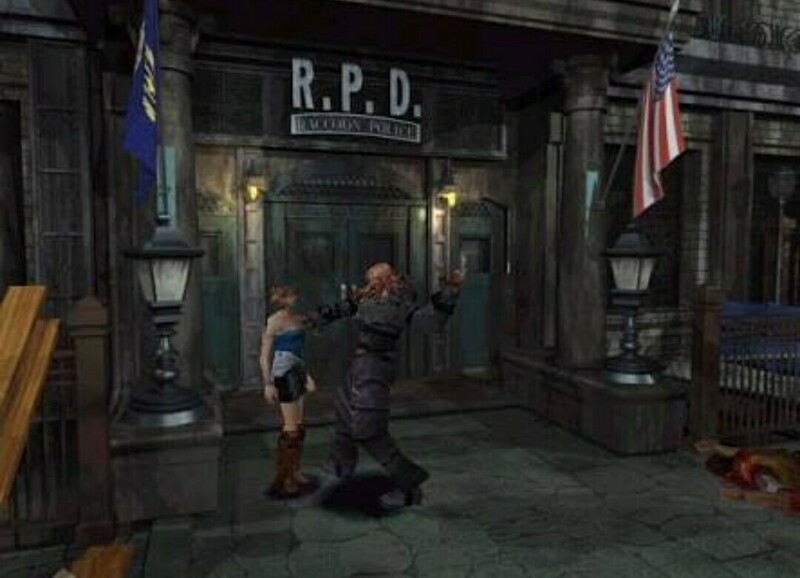 RE3 went the action route adding all kinds of new moves and making a more linear adventure with the titular monster chasing you. It wasnt as good as RE2 but it tried something new. RE Outbreak was filling the void on PS2 left by the Nintendo partnership, a truly innovative online experience. Outbreak came out when the online games were still young on consoles. 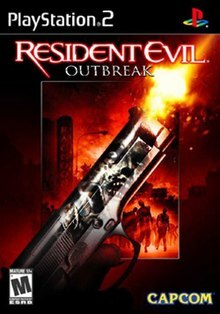 I had this crappy wireless reciever connected to my PS2 mostly to play the best RE spinoff ever made.Outbreak is kind of a mess and brilliant all at the same time. Alone the game is extremely hard with AI partners that hate doing what they are supposed to. Online if you jon the right team it can be a glorious fun time as you play through five levels with randomized puzzle solutions and some great scenarios. The game was really deep with all kinds of hidden achievements that made multiple runs necessary to see it all. It captured the essence of old RE to a tee, the conserving ammo and health is componded with every player you have on screen. I played with some guys from the old gamespot RE board which eventually became Biohaze. We would get on every night and dominate, speed running levels and trying to get the highest ranks was a blast. 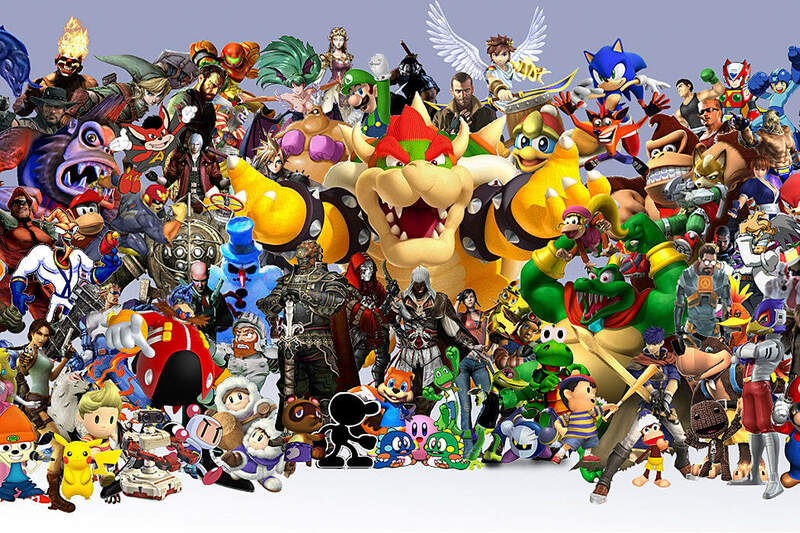 It is one of those formative online experinece which helped define that era of limited online gaming for me. I wish we had an update to this game, it can work so well with modern bells and whistes. Oh and the opening CG to this game was so good. Coming off of the RE2 high I guess it was expected to have a slight let down. Code Veronica, the real RE3, was already being shown and obviously it looked a generation ahead. RE3 will always be the odd child of the old bunch but I appreciate it so much for trying new things. For one it introduced almost all the modern gameplay mechanics that has been used in even the action RE games. Quick 180 turn, context dodges, mixing ammo powder to customize ammo, and being able to move up and down stairs without a button press. The game was faster paced and way more action oriented and the level design highlighted that fact by being a little bit more streamlined. Yet in terms of puzzles, RE3 actually has the best in the series. But the main reason we all remember and enjoy this game is because of the Nemesis which for its time was one of the best AI monsters in gaming. It would chase you from screen to screen. It would evolve as the game went on adding more weapons to its already dangerous arsenal. Every time that music changed and I heard "STARS" a panic would set in. Nemesis to this day is still the best Terminator like enemy in a game. RE3 also deserves credit for giving us the best bonus mode the series has had, Mercenaries. The best post mode which has been done in all the action RE games since, I put so many hours into it, almost matching the hours put into just playing the game. I must have beaten this game about 8 times in a row to unlock all the epilogues and yoy know what I had a blast doing it. Wow I'd forgotten about all those RE spin-offs. Hell, I had forgotten that the PS2 even did online. I actually had the online adapter for it so I could beta test Everquest Online Adventures, but I only had dial-up so it on disaster and I quickly sold it. I have the PS2 that came with the online adapter bundled with it. I never did try the Resident Evil Outbreak games though, I wish I had though. I think the only online games that I played on the PS2 was Socom 2 and the Jak X racing game beta. I actually still have that Jak X beta disc. So it's 152 games sharing 100 places? Give or take, depending on how he lumps Metal Gear. Due to my weird Sega obsession I went two entire generations without a Nintendo console. Resident Evil was annouced to be exclsuive for the Gamecube and well I was going to follow the franchise where ever it went so it was time to buy a Nintendo console again. Enter the Gamecube, the last powerful console Nintendo made. The Gamecube was tiny but it was a beast, beating the PS2 in graphics. To showcase that, Nintendo had a huge Star Wars exclusive at launch, Rogue Leader. When I got my GC I didn't get Luigi's Mansion (in fact to this day I haven't played it), it was the mind blowing looking Star Wars game. I was a bit of a Tie Fighter snob so I looked down on the arcadey flight combat of Rogue Squadron but when I got my hands on this game I was in love. It absolutely nailed the feel of Star Wars combat with its fast quick paced action and movie quality visuals (well at the time). The game even had Wedge actor Denis Lawson perform voice acting for Wedge. I LOVED the X-Wing novels at the time, star wars space combat scenes were some of my favorite moments. This is an entire game of that. It begins with the best Hoth battle ever put in a game and ends with my favorite battle of the saga the battle of endor. WIth loads of awesome unlockables like being able to pilot the Millenium Falcon, this game kept me playing for a very long time. A very worthy launch title, it showcased the amazing graphics the Gamecube had and was a killler exclusive. The third game never quite lived up to the second even though the entire second game is inside the third game in coop mode. Rogue Leader is one of the best flight combat games ever made. Everyone lets sing together now! Lets head back to 1996 and the dawn of the 3D age. Sega had released the Saturn and recieved a lackluster response, it was missing a Sonic level game. 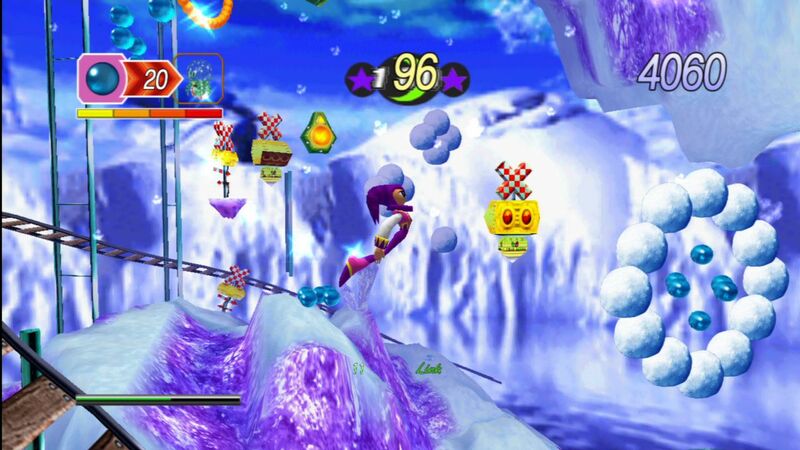 Enter Nights Into Dreams, Sega's response to the lack of a mascot and their response to Nintendo releasing a little game called Super Mario 64 which you know kind of defined how all 3D games would be played going forward, oh and had a groundbreaking controller with some crazy thing called analog sticks. See Sega made a console built for 2D in the now 3D era and they scrambled to have an answer. Nights became that answer by default even though in reality its almost a 2D game that just so happens to have this odd 3D component to it. There was a massive ad campaign,Sega put all their effort into making Nights their big title for the Saturn. Now lets get into my mindset in 1996. I am still a Sega loon at this time and I was secretly insanely jealous of Nintendo and Mario 64. The future was happening but not on the console I owned. I so desperately wanted that feeling of moving a character around a 3D world, its hard to describe it now cause it sounds so stupid, but the idea of walking in any 3D world was mindblowing back then. Nights had that for the Saturn, hell it even came with a terrible analogue stick controller. Look at that monstrosity! I desperately wanted that only because it was Sega's answer to Nintendo. Thats the card I was dealt with and I went all in on supporting this 3D endevor. So I bought the game with the pad and started to play it and realized... wait this is a 2D game. Only when you "die" do you end up walking around in this really bland tiny 3D space where you need to navigate your character to an exit before an egg clock catches you. I would die on purpose just to experience 3D movement, again thats all I had so I was going to get all I could out of it. Mario it was not but I was able to get some joy in the fact that I had a game with a 3D world and an analogue stick. Luckily the real meat of Nights is phenomenal and remains one of Sonic Teams greatest games. In essense its like a crazy 2D race against a clock where you need to perfrom stylish acrobatics through the air and fly through as many loops as possible. The game was simple to play but had a deceptively deep scoring system. It is very possible to beat one run of Nights in an hour, thats not the point of the game, the point is to master it. To achieve A ranks in every level and flawlessly defeat all the fantastic bosses. Nights took the speed and skill of Sonic and distilled it into an almost arcade like structure where you fly rather than run. There is was no game that played like it when it came out and I cant think of anything thats like it sense. When I was in the zone I would hit crazy high scrores, it was a rush that only the best skill based games give. Nights had the best graphics on the Saturn, it feautured incredibly memorable music. There was even this odd AI system dealing with these little creatures that inhabited the worlds you visited that they dubbed A-life. To this day I have no clue how it works but it is there. This was Sega still showing that they are more creative and off the wall than any developer. The better game was Luigi’s Mansion, man. Oh God, the end song for Dreams... Sooo awful. I wonder what the hell it was about Japanese developers that were adding really awful songs there end credits around that time. Konami did the same thing with Symphony of the Night. The "I am the Wind" song. There were a couple others from around that time that did it too, though thankfully I forgotten them. How dare you blaspheme against the Dreams song! That is Disney quality stuff, they even get generic R and B singers to do the duet a whole new world style. Ok you can hate that, but we can all agree Crush 40 is awesome and sonic music is the best. Lol wait till you find out how many sonic games made this list. Rogue Leader still looks incredible. I missed out on Luigi's Mansion, too. I think Nights is on a Sega thing I have on Steam...I definitely need to try it. Endless Ocean at No 1. Guaranteed.